I thought this was clever. 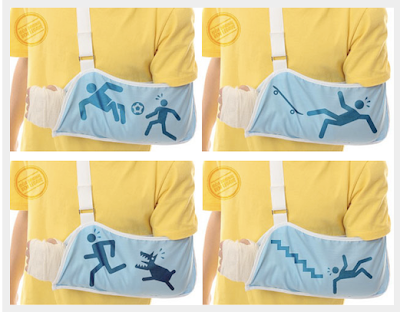 It's a sling that shows what happened so that you don't have to explain it over and over again. I think this exemplifies that it's the idea that counts, not the technology. I love it! Is that a Japanese thing? ?